OK, so what’s a Richmond mainstream rock band doing in the world music section? 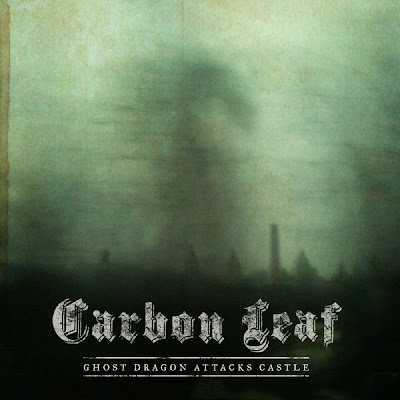 Well, Carbon Leaf is a band that’s never fit neatly into any of rock’s micro-categories: too tuneful for a jam band, too well-mannered to be punks, too rockin’ for AAA, far too sincere to be indie. Since their early days (and certainly fitting for a band of Virginians), their music has always had a strong Scots-Irish thread running through it, they’ve made common cause with like-minded groups such as Newfoundland’s Great Big Sea, and they’ve taken up and incorporated some of the classic Irish instruments (fiddle, bouzouki, pennywhistle, uilleann pipes). Now they’ve taken a further step and recorded a full album of Irish-influenced material, not as a permanent change of direction but as an elaboration of a long-running influence. And it’s a terrific album, one that’s fully comparable to the best work of bands like The Waterboys, Oysterband, Big Country and Horslips. Barry Privett’s confessional lyrics and Carter Gravatt’s multi-instrumental virtuosity are still front-and-center, but this time it’s in a more explicitly folk-rock context, one that I think suits this band perfectly.